Lock in a great price for The Ocean Club, A Four Seasons Resort, Bahamas – rated 8.5 by recent guests! The staff was excellent. I highly recommend the Ocean Club. It was a great getaway for a few days. Beautiful property. Good tennis facility with lovely tennis pros. 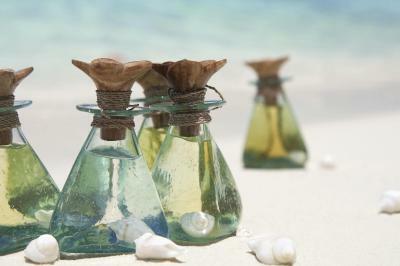 Spa and spa therapists are professional and talented. 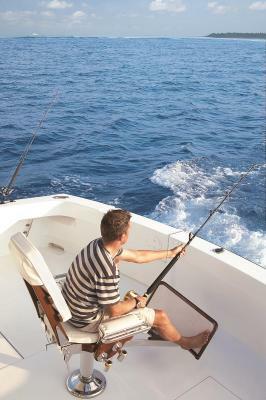 Location, facilities, rooms, staff friendliness...all exceptional. You really feel spoiled. The elegance of the decoration, furniture and the overall property style is superior. Low-key luxury at his best. food was excellent and service in the dining room was too . The team members of this resort go above and beyond to provide exceptional service. Very well done. The service was fantastic - Prices too over the top! Service was only good in the restaurant. Starting with a major mistake when we arrived (they gave us an unserviced room), from the room not having the DO NOT DISTURB sign, no slippers, no coffee cups (even thought they offered a good coffee machine and the capsules), every day there was an issue. even with our water we were during one of the nights. not good at all for a One and Only. would not go back. The hotel is in a great location, the staff and gardens are very good. The food and drink are generally good but incredibly expensive. The evening musicians were also very good. Beautiful resort, lovely rooms, attentive staff. Stayed in the newly refurbished Hartford Wing. Tastefully decorated and very comfortable. понравилось абсолютно все, и выбор был абсолютно правильный, тихий спокойный отель для уютного отдыха, бесплатный сервис доставки до соседнего отеля атлантик групп решало все вопросы, в том числе развлечений и разнообразия кухни, стоит посетить КОУ ТАУЕР ресторан Андреяс - где можно вкусно покушать сиафуд. Также днем можно погулять и пошопиться в атлантике среди всех их башен. А потом вернуться обратно в уютное и очень тихое место в в этот отель. 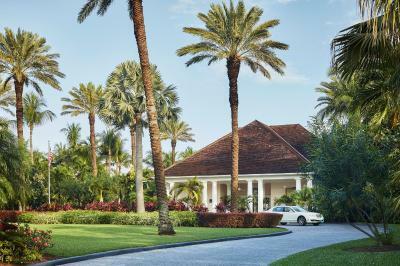 The Ocean Club, A Four Seasons Resort, Bahamas This rating is a reflection of how the property compares to the industry standard when it comes to price, facilities and services available. It's based on a self-evaluation by the property. Use this rating to help choose your stay! One of our top picks in Nassau.The Ocean Club, A Four Seasons Resort, Bahamas is located on the north shore of Paradise Island. Set on an 5 mi stretch of pristine, white-sand beach, this luxury accommodations offers 3 swimming pools and panoramic ocean views. 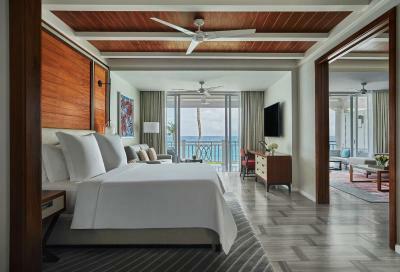 The Ocean Club, this Four Seasons Resort offers rooms in 3 distinct Bahamian decoration styles. Complimentary beach bag, champagne and strawberries at sunset daily and SUV transfers to Atlantis and Ocean Club Golf Course are offered. Evening turn-down service, complimentary newspaper, overnight shoeshine service, one-hour ironing and 24-hour laundry and dry-cleaning services have also been provided. 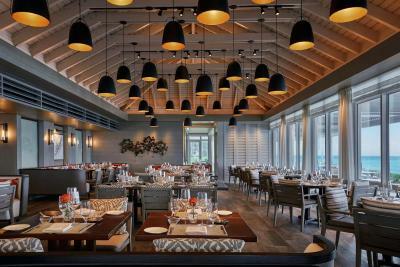 Guests can enjoy 5 restaurants and bars onsite, including DUNE by chef Jean-Georges Vongerichten. 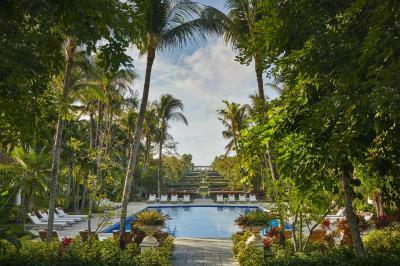 Balinese-inspired spa with eight treatment villas, 3 swimming pools and 6 tennis courts are available. Paradise Island can be reached via two bridges from the Bahamas’ main island of New Providence, home to the vibrant city of Nassau. 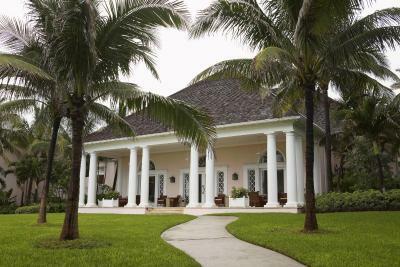 When would you like to stay at The Ocean Club, A Four Seasons Resort, Bahamas? in a Bahamian contemporary chic style. Views of lush gardens, or the ocean and Ocean Pool. Sliding glass doors lead outside to a private terrace or balcony overlooking lush greenery and exotic blooms. One marble bathroom with twin vanity sinks, private bathroom, oversize oval tub and separate rain shower with anti-fog shaving mirror. in a Bahamian contemporary chic style. personality. Sliding glass doors lead outside to a private terrace or balcony overlooking lush greenery and exotic blooms. One marble bathroom with twin vanity sinks, private bathroom, oversize oval tub and separate rain shower with anti-fog shaving mirror. balcony. One marble bathroom with twin vanity sinks, private bathroom, oversize oval tub and separate rain shower with anti-fog shaving mirror. Located in the Crescent Wing, slightly secluded from main amenities for a peaceful, exclusive atmosphere. Interiors by Adam D. Tihany in a Traditional Bahamian décor. This wing offers hammocks throughout the gardens, direct ocean views and is located just steps from the beach. 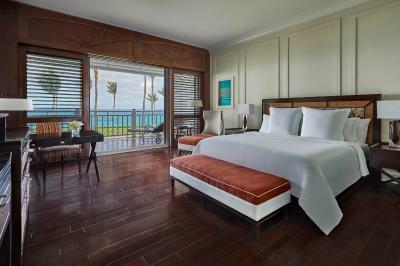 This room features mahogany furnishings, hardwood floors and colorful tropical flourishes. Louvered doors open to a private terrace or balcony with direct ocean views. One marble bathroom with two vanity sinks, private bathroom, separate shower and large oval tub. or balcony, furnished for outdoor dining or lounging. One guest powder room and one full marble bathroom with two vanity sinks, private bathroom, walk-in steam shower and jetted bath large enough for two. Area Info – This neighborhood is a great choice for travelers interested in beaches, relaxation and sunbathing – Check location Excellent location – show map Guests loved walking around the neighborhood! House Rules The Ocean Club, A Four Seasons Resort, Bahamas takes special requests – add in the next step! The Ocean Club, A Four Seasons Resort, Bahamas accepts these cards and reserves the right to temporarily hold an amount prior to arrival. A credit card guarantee or cash deposit of USD 250 per night will be held for incidental charges. Upon check-out, guests are required to settle any outstanding charges in full using a credit card, travelers’ checks or US dollars. Sluggish restaurant staff. Less than average food at a high cost. Had a bit of a flood in the bathroom ( our fault ). Asked for help to clean up before going for dinner. On return from dinner a pile of towels had been dumped on the floor in bathroom, looked as if someone had planned to come back and collect them then forgot. Was sorted out next morning, extremely efficiently, whist we had breakfast. Staff need more training how to deal with customer, it is not in four season standards. Location, facilities spa, Transport Service. They used so much plastic! I was charged a higher room rate than what I prepaid on booking.com for the same room. I have been trying to resolve for 3 days and the staff have been unhelpful and keep passing off. Their printer was broken and endless promises to email the bill though still not received. Otherwise great hotel. Toilet didn’t work part of the stay and they couldn’t fix it, gave me a credit that was not enough to cover the discomfort. Very disappointing. Staff was nice. Room for improvement on some limited details. One of those regarding the use of the beach facilities: the property provides very comfortable beach lounge chairs for guests - for 2 out of the 4 days we stayed, all of the "first line" lounge chairs were "taken" for most of the day....with nobody using them for most of the day. When we asked, they said that some people had asked them to book the chairs and they did it. I just think this is not a good policy, actually unfair to the rest of guests. Another detail that didn't work: one of the days they forgot to clean up our room; we were out all day so when we got back at 7pm we had to call reception desk and ask for our room to be cleaned. I am not saying this kind of things cannot happen...but I would have not expected that to happen in a 5-star hotel like this one. Finally, dinner options at the hotel are limited to "Dune" - an excellent restaurant but likely not for every night. Other more casual restaurants on the property offer lunch but they all close for dinner. That I had to leave!!!!!!! room was not cleaned the 2nd day there and they kept turning down the room after 9pm after many discussions with the Butlers . We had reservations for 3 Beachfront on the bottom floor but instead had two beachfront on second floor and only one on bottom floor - Made reservations to go to Blue Lagoon - reservation lady did not call so missed the 10:00am tour - rescheduled for 2:00pm tour but it was cancelled - so never saw the Blue Lagoon. The hotel car we booked to pick us up from the airport was about 25mins late.We also booked two other cars from the hotel where the drivers were continually using their mobile phones and texting whilst driving. The rooms are very small and some very old and tired. We also had no proper introduction to he hotel and its facilities. The food and drink was generally good but incredibly expensive, our only real complaint was the breakfast cereal was stale and a small cappuccino cost $11 extra! On check-out our bill had several incorrect items and was very difficult to resolve. Basically, the problem is that this must be one of the most expensive hotels in the world and we saw no evidence of why? There was no evidence of any hotel management, which this place badly needs. The staff are very friendly and try their best but our stay would have been expensive at a quarter of the price. Lastly, the hotel is on a beautiful beach but has not water-sports facilities such as canoes, sailboards or catamarans which we would have expected. Very surprised at the food. Was expecting excellent 5 star cuisine throughout the resort. Very patchy. Some dishes were ok, but others were not good at all. It seems they reheat a lot of precooked dishes which makes them unpalatable and this should not be the case at the prices charged. Sushi was not keep cold enough. Dune at Jean Georges was mediocre too. Room service meals were no better. Food and beverage needs a complete overhaul to bring it up to the right standard.